When your average German goes on summer holidays, it is usually for a minimum of one week, and can last up to four weeks. As one of my friends once stated, ‘Anything less than three weeks is not good for relaxing!’ or ‘Weniger als drei Wochen lohnt sich nicht!’ (less than three weeks isn’t worth it). Well, this holiday question depends on your cultural and social background. The Americans I knew while working in the States usually took a one-week holiday. The Asians I know also take a week off in the summer. So, in regards to our different perception of what a holiday is, we need to break it down the German way. When Germans have so many paid vacation days (30 days per year) and 13 public holidays to add to it, of course the vocabulary gets bigger and more detailed. “Have a good trip!” in German: Gute Reise! 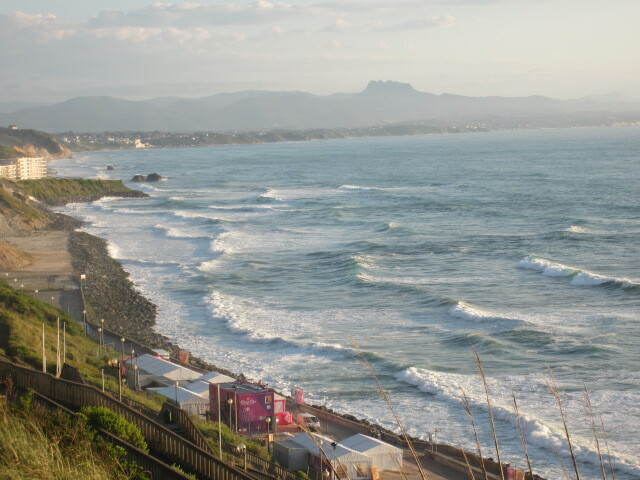 Taken on our two-week summer holiday in Biarritz in 2012. 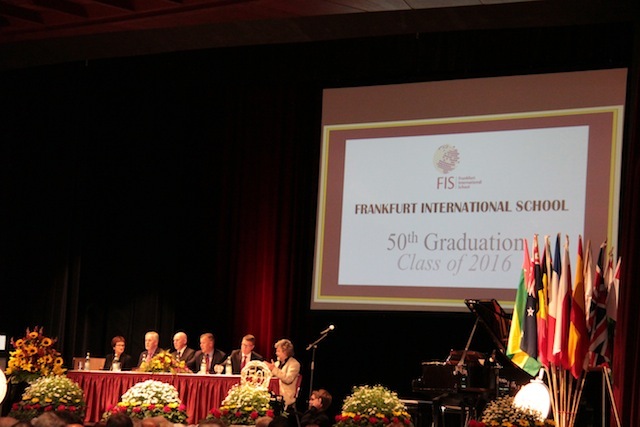 We attended our daughter’s high school graduation – the class of 2016 at Frankfurt International School (FIS) in Oberursel on 4 June 2016. 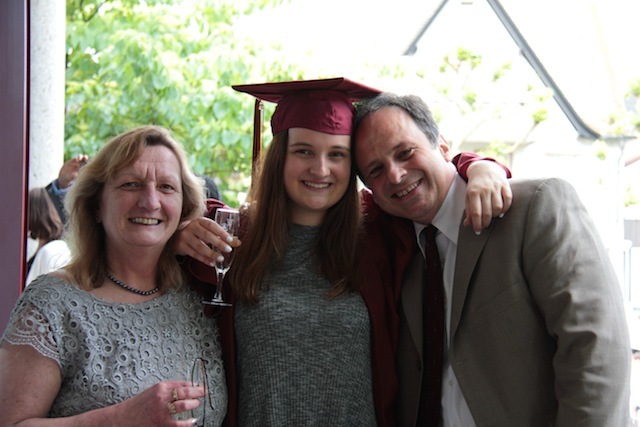 The graduation ceremony was held as usual at Oberursel City Hall. 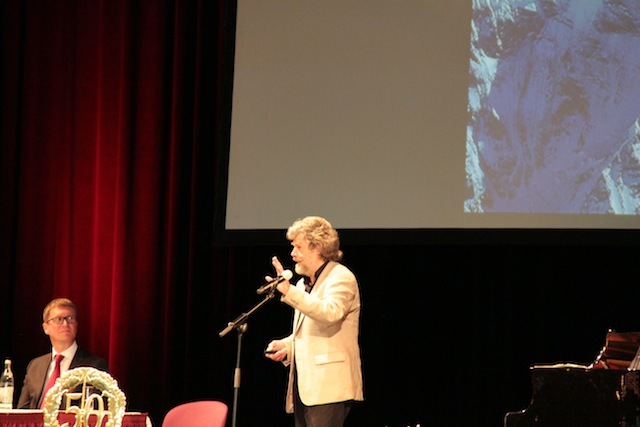 The guest speaker was Reinhold Messner, the most famous mountaineer of all time. His talk was good and interesting, but personally, I found it too long at 45 minutes. We parents are eager to move on, and a change of speakers or performers is quite welcome at this point. He also directed his talk at the students by making certain references to having enthusiasm, visions, etc., and he had a few anecdotes to share as well. But we parents have already climbed our personal mountain to get to that point – our child’s graduation. I wanted a shorter descent. 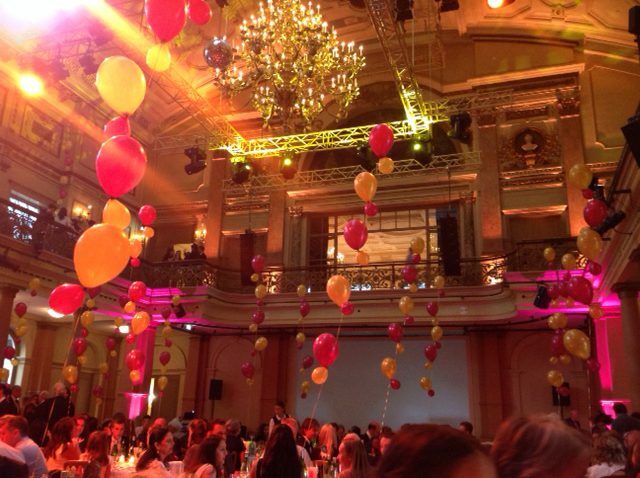 Over the years, the school had rented the event hall at the Sheraton Hotel at the Frankfurt Airport. 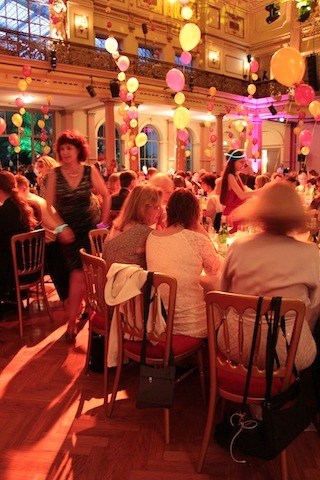 This year, it was the first time to host the graduation dinner dance at the Gesellschaftshaus Palmengarten in Frankfurt. What a grand setting. It could not have been done any better. The appetizer was served, the rest was from the buffet. Service was splendid, and the food was good. Not gourmet style, but good. If you aren’t vegetarian, try their veal. That was gourmet. Well, we got what we paid for, and I dare say, we even got a little more. Another bonus was the restaurant’s patio and its view. It was a warm and somewhat humid day, so at certain times, it was nice to be on the patio to catch the breeze. This was with a glass of wine in hand, and a feeling of accomplishment in my chest. Take a deep sigh and enjoy the moment. 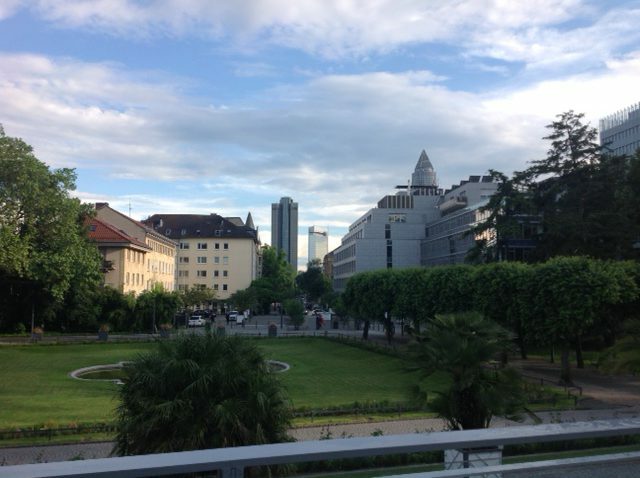 Some expats new to the area asked about the meaning of the word Brunnen and Brunnenfest in general. The German word Brunnen stands for fountain, well, and natural spring. The town of Oberursel has more than 60 fountains. For the Oberursel Brunnenfest, each year a new Brunnenkönigin (fountain queen) gets chosen. This years’s Brunnenkönigin, Nadine I. represented Brunnenfest 2016, and one part of her official duties is to inaugurate the next fountain for the year. 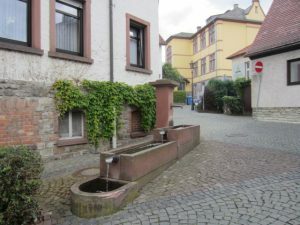 There are 26 fountains belonging to the town of Oberursel, and about another 40 fountains are in private hands. 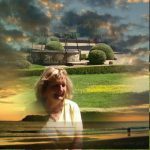 Applications should be in writing and directed to Peter Baker with copy to Rita De La Cruz within seven working days of this notice. Our son has been making noises of returning to London after the completion of his second Masters at Fudan University in Shanghai in 2017. Sure, sounds great, but as mindful parents, we worry about the cost of living there. Right now, he is still at the London School of Economics (LSE) and enjoying his student life (more or less, depending on his course work) with the costs of tuition, accommodations, and spending money being taken care of. 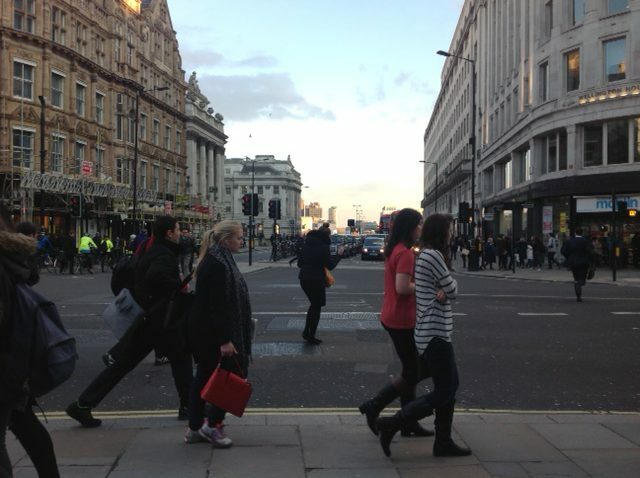 For working in London, and making ends meet, I shared with him the basic rule of salary division: 1/3 for cold rent, 1/3 for utilities, groceries, etc. and 1/3 for fun, holidays, and savings. When I saw this article Rents In London? If You Have to Ask… in the International Herald Tribune, I forwarded it to him to bring him down to earth, so to speak. Based on my calculation of a monthly GBP 800 contribution in sharing rent, this would require a first-year salary of GBR 28.000 in net pay. Young people often have to make do with less, and he could do it on maybe half his pay going for rent. But like many parents, we had hoped for the financial support to stop at some point in our life. She is getting along fine with the cost of living in London. Her parents, who are financing it, not so well. She shares an apartment with a friend in East London which costs us around 800 pounds a month.